Jump inside The Pull Bag's latest interview, as we welcome Thom Zahler creator of Love & Capes, and Long Distance! Mike and Thom talk about what comics used to be compared to today, and we also find out all about Thom. How he came up with Love & Capes and Long Distance, plus so much more! 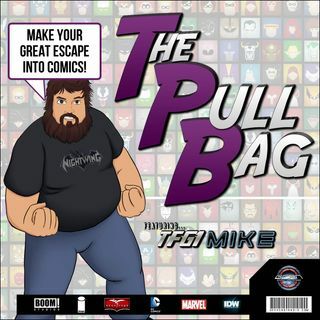 SO MAKE YOUR GREAT ESCAPE INTO COMICS and jump inside The Pull Bag Today! The post Interviews – Thom Zahler – Long Distance appeared first on GeekCast Radio Network.